On Nov. 21, 1963, President John F. Kennedy dedicated six new buildings as part of the Aerospace Medical Division at Brooks Air Force Base, San Antonio, Texas. 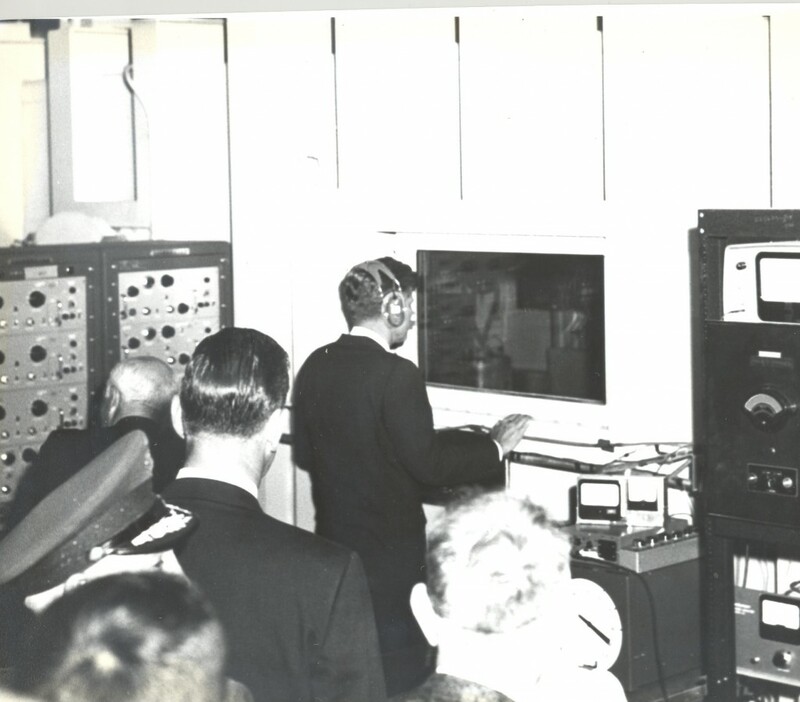 President Kennedy talks with crew members training in an oxygen chamber beyond a window during his visit to Brooks AFB. (Photo courtesy of Brooks City-Base). His dedication at Brooks AFB — which closed in 2011 — was in line with his Texas tour, with stops planned for San Antonio, Houston, Fort Worth, Dallas and Austin. In National Geographic’s “JFK: The Final Hours,” the documentary sheds light on the unexpected moments of the president’s trip before tragedy struck in Dallas. Even though Kennedy was on a tight schedule, “Final Hours” pinpoints how the president wanted to visit the volunteers living and undergoing tests in a low-pressure altitude chamber at the medical center. He pulled on a headset to talk to one of the volunteers inside the chamber, said Philip “Flip” Jameson, then 19 years old. “My heart stopped, just for a few seconds,” Jameson says in the film. The Kennedy’s arrived in Dallas just before noon on Nov. 22. Just before 12:30 p.m., the presidential motorcade turned right from Main Street onto Houston Street and entered Dealey Plaza.